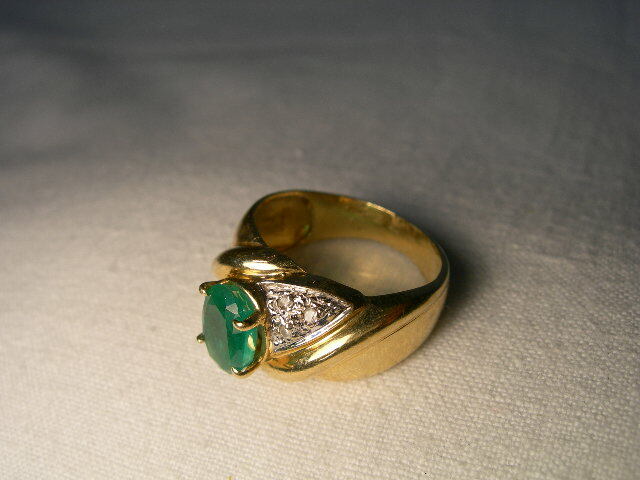 14K yellow gold emerald and diamond ring. 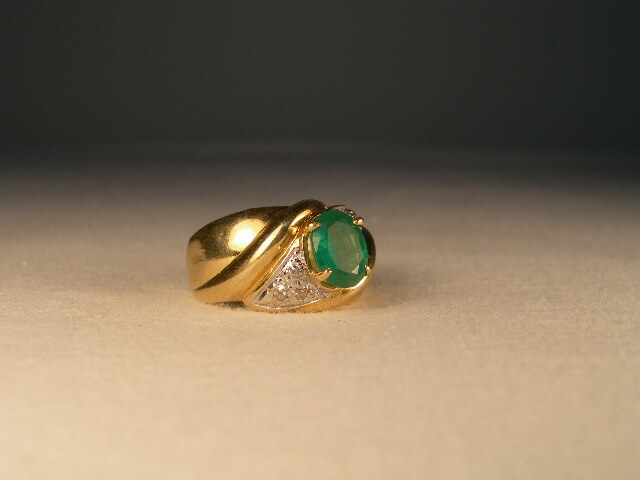 There is one natural oval emerald set in the center of the ring with 3 brilliant round diamonds on either side of it. 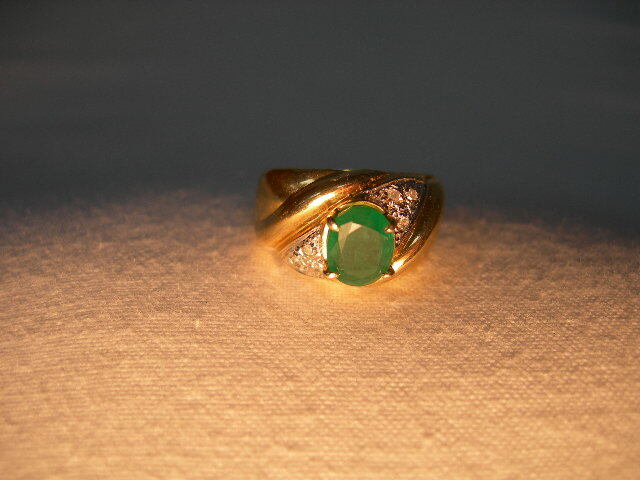 The top of the ring measures about 1/2 of an inch wide. 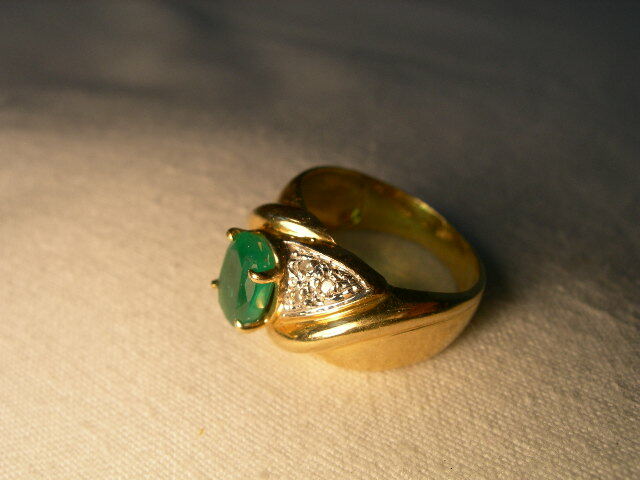 The ring is a size 5.5. Sizing is available. It weighs 3.5 grams.